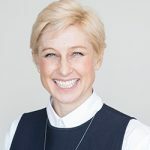 Melina Morrison, Thursday, 24th January 2019 - The people-owned business model is gaining ground across many different industries, writes Business Council of Co-operatives and Mutuals CEO Melina Morrison, as part of a series of 2019 predictions from leading experts across the social sector. Melina Morrison, Wednesday, 4th April 2018 - The federal government must act to unlock the power of social care co-ops and empower caring millennial entrepreneurs, writes Melina Morrison. Melina Morrison, Thursday, 11th January 2018 - Co-operatives are coming into their own as an economic force for good, writes Melina Morrison, CEO of the Business Council of Co-operatives and Mutuals, in the second in a series of 2018 predictions from leading experts across the social sector.